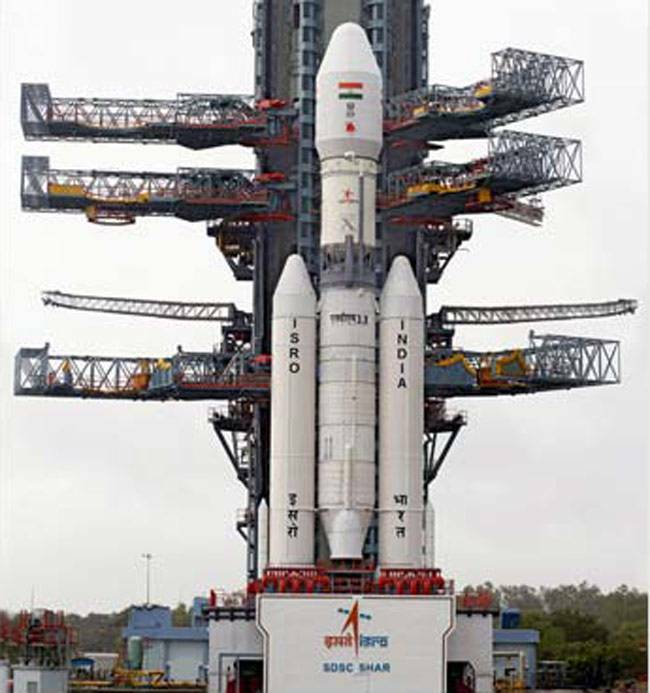 At 5:28 pm on June 5, the Indian Space Research Organisation (ISRO) will attempt to launch the Mk III variant of itaGeosynchronous Satellite Launch Vehicle (GSLV). It will be a historic occasion for the country’s space program. The Mk III is ISRO’s most muscular launch vehicle to date, being able to lift 4,000 kg of payloads to the geostationary transfer orbit (GTO) and 10,000 kg to the low-Earth orbit. These capacities have been enabled by a third stage powered by an indigenous cryogenic engine, the development of which has engaged ISRO’s best for over two decades. Naturally, the success of this rocket will mean a lot for India, in a variety of ways that can be difficult to assimilate. The GSLV Mk III had flown previously on test flights but without the upper stage of the launch vehicle. Today's launch marks the first full flight of all three stages of the larger rocket. The launch had clean stage separations and deposited GSAT-19 in (GTO) where it will fire boosters itself to climb higher to a stationary orbit. When ISRO first tested the GSLV Mk III back in December 2014, the space agency only flew the lower stages of the rocket on a suborbital flight. That first test, however, included a prototype crew capsule. India is hoping to eventually use the GSLV Mk III to carry astronauts to space, which would make the country only the fourth nation in the world to launch their own astronauts. The Indian space agency has become a world leader in rocket launches, operating the highly reliable Polar Satellite Launch Vehicle (PSLV). That rocket successfully carried a record 104 satellites to orbit earlier this year, most of them small CubeSats. The introduction of a new heavier rocket greatly expands the capability of ISRO to launch a wide range of payloads to various orbits around the globe. In the coming years, it could also help the nation develop a manned spaceflight program, a major achievement for any country.